PAPUA New Guinea is four weeks away from hosting the biggest event in the country’s history. Preparations cost the country a great deal, with the Government aiming to use the opportunity to showcase PNG to the Asia-Pacific region and the world. The news has been making headlines on social, local and international media. Negative criticisms have focused on the present opportunity cost of the investment. The fact is that PNG is currently facing financial problems. The government is not delivering essential services. Businesses are struggling to survive. The huge investment for the one-off event can be used to beef up the economy and deliver vital services that can positively impact the lives of Papua New Guineans going intothe future. and the expected benefits after Apec. 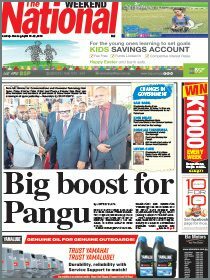 Heads of governments and businesses will be coming to PNG. Our government is optimistic of good investment inflows after the event. It is based on expectation and only time will tell. It may be below our expectations, over our expectations, or it not realised at all. One thing that troubles me most is seeing the government not spending within its means and trying to meet the standards of other Apec-hosting countries. The recent Maserati cars purchase issue is a clear example of the government spending beyond its means. 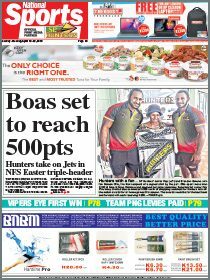 Papua New Guineans who are struggling every day to put bread on the table.